Just off the B2011 between Folkestone and Dover, follow the signs for the Village Hall. There is plenty of parking space on Lancaster Avenue. 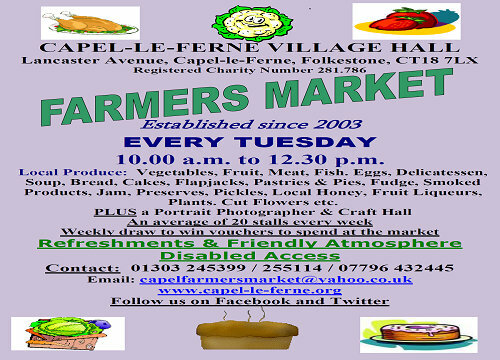 The farmers' market started as a new venture in April 2003 following an idea put forward by the Village Hall Management Committee to provide a service for our community. 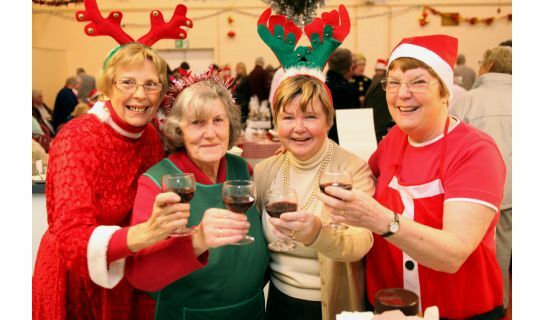 In addition to offering food and other items the market is a social occasion with refreshments available. Our stall holders and customers are all very welcoming, giving us our well deserved reputation of being a friendly place to visit. We do hope you will come and find out for yourselves. Customers drive from many miles around. 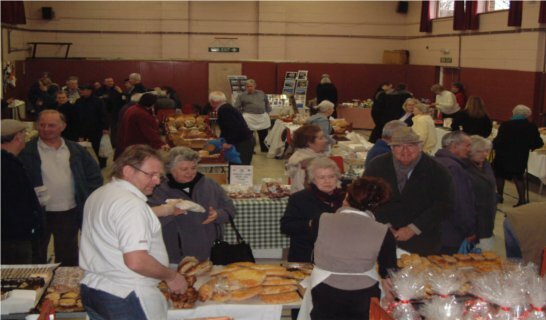 Run by volunteers the market is a non-profit making charity and every penny we raise from these markets goes back into the maintenance of our Village Hall. 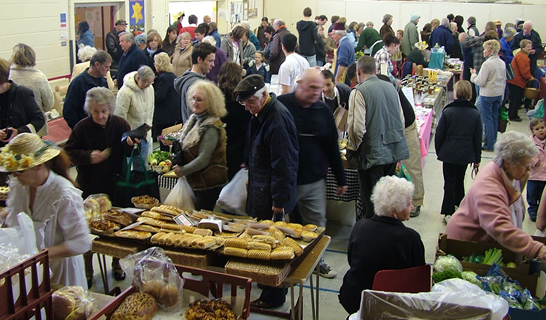 The number of stalls varies each week, some attend weekly. others fortnightly and there are guest attendances of specialist producers. We have previously been voted BEST FARMERS MARKET IN KENT, by the Kent Life Magazine Food & Drinks Awards and also the Kent Technology and Enterprise Award. We are naturally thrilled with these awards and as you will see on our website, we also have stallholders who have won awards! 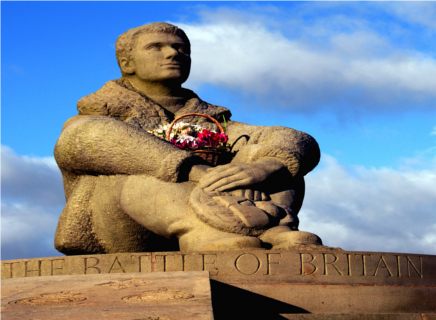 Why not make it a day out and visit the Battle of Britain Memorial too, which is also situated in our village, we are situated on the cliff-top with glorious sea views! There are ample choices in the market to buy a picnic to enjoy on the cliff tops looking across the channel to France. For the more active the village is on the /north Downs Way do you could walk between Dover and Folkestone, stopping off at the market for light refreshments. We are wheelchair friendly with designated disabled parking, toilets on site include disabled and baby changing facilities.